Carmichael Law offers Divorce Angels users a reduced rate for initial consultation. Please contact their office at (905) 571-5123 or toll free at 1-800-634-0461 to inquire about booking your consultation today. The head of the firm, Barry J. Carmichael, is a respected family lawyer who has maintained a practice in Oshawa for nearly three decades. He offers clients insightful advice based on his experience, training and knowledge of the local community. Many of Barry's clients over the years have come to him through the personal recommendation of former clients who have been satisfied with the quality and effectiveness of Barry's services. 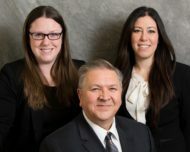 Barry along with his associate lawyers Melissa Crowley and Francesca De Palma are committed to resolving matters in a cost-effective and timely manner. Clients often seek the advice of an experienced family law lawyer when they have questions about their separation or divorce, including child custody, child support, spousal support, and property and pension division. The experienced legal team at Carmichael Law offers clients the information they need to assess their options while providing every client with honest, practical advice keeping clients involved in every step of the process. Staff members, Rachel, Gwen and Melody welcome inquiries from those who want to learn more about Carmichael Law's services, or wish to schedule a consultation. Fees are based on time, and initial consultations are charged at a reduced rate. To meet with Barry and his team to discuss your legal needs, contact Barry online or by calling (905) 571-5123 or 1-800-634-0461 toll free. 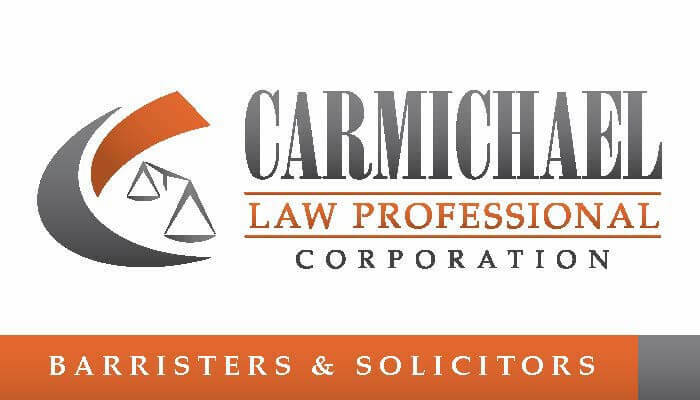 Carmichael Law Professional Corporation was founded and is still managed by head lawyer Barry J. Carmichael. Barry has practiced family law in Durham Region since 1993. Barry graduated from Osgoode Hall Law School in 1988 and was called to the Bar of Ontario in 1990. He practiced in Toronto for three years before starting a family law practice in Oshawa. Barry was born and raised in Oshawa. Barry is accessible and always willing to talk to clients about their legal needs. He is committed to resolving matters in an expert, cost-effective and timely manner. Carmichael Law is also made up of two highly skilled associate lawyers: Melissa Crowley and Frencesca De Palma. Melissa Crowley joined the team in 2014 and is dedicated to providing effective and thoughtful service to clients. She offers all of her clients' practical and empathetic legal services that suit their unique and sometimes complex needs. Francesca De Palma joined the team in 2016 and is dedicated to providing focused and efficient legal services. She is committed to advocating for her client's best interests. The firm is also the recipient of the 2015 Top Choice Award for the Top Family Law Firm, in the Durham Region.